Human communication and understanding is a fascinating area of study, especially to marketers evaluating how to attract buyers in an ever-growing mobile and web-based world. Our experience of media and messages on a daily basis is a mix of text, graphics, photos, sound and video rather than one format of information. We need many forms of communication to gain full understanding. Bonus: Download our What is Inbound Marketing Guide as a PDF. Easily save it to your computer or print for reference anytime. So, how do brands marketing on the web find the best combination of media types to do the job of standing out from the wide competition and the abundance of content online? Conclusion: A discussion about humans' visual nature and attention. 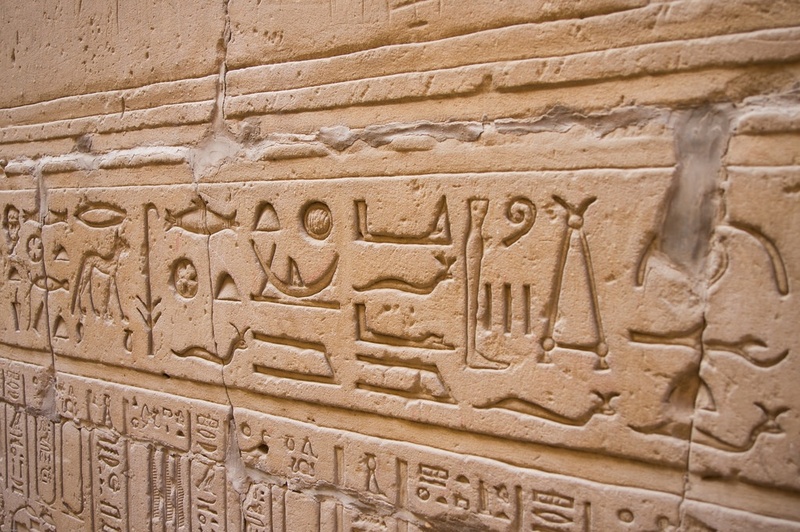 Before early civilizations developed language and writing systems, there were pictures. Throughout the ages, visuals have always played an important part in telling stories and expressing meaning and emotions. Here, we share a timeline of activities, inventions and technologies that express the development of our visual culture and show how cultures have always used images to share ideas. 15,000 - 40,000 B.C. 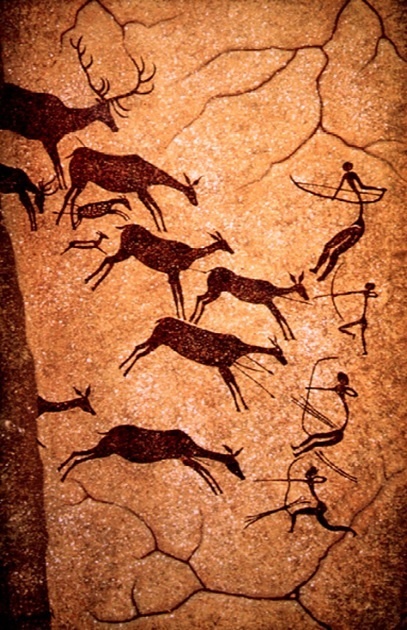 — Creation of rock and cave paintings, depicting large animals, tracings of human hands and hunting scenes. 10,000 B.C. — Geoglyphs appear; this artwork features designs etched into the earth's landscape, best viewed from vantage points above. Late 1700s — The invention of charts and graphs allows data and ideas to be grouped and communicated with visual representations. 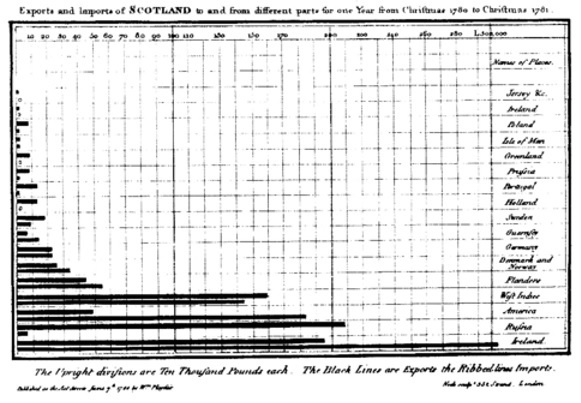 The first known data graph is shown below, credited to William Playfair. 1800 — Posters and photography encourage the beginning of commercial advertising. 1928 — The first televisions are installed in private U.S. homes; "television sets" becomes a common household item in late 1940s, bringing outside images and ideas through film, art and news into the average home. 1960s - 80s — Invention of the computer paves the way for the growth of digital graphic design, digital photography, website design and social media. Today — Low-cost, portable "super" technology gives users the instant ability to capture, create and share images. This makes visual communication even more common, especially through online communications. Understanding who makes most purchasing decisions online can help web marketers know how to reach and convince those most likely to buy. A study by Business Insider shows that the demographic most likely to shop and purchase through e-commerce sites is Generation Z, aged 18 - 34. 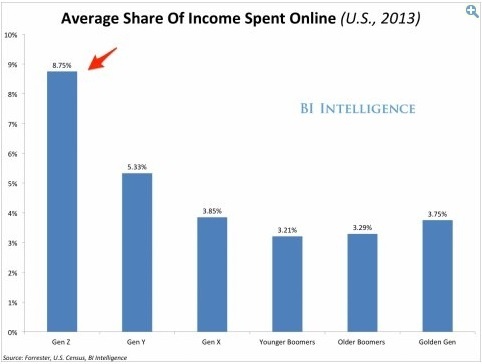 This group spends more money, about $2,000 per year, on e-commerce — more than any other group. As shown in the table below, this also represents the highest percentage of income spent, 9% of income, on e-commerce of any age group. Men make more purchases on mobile devices than women; 22% of men made a purchase on their smartphones last year, compared to 18% of women. 40% of men aged 18-34 say they would "buy everything online," while only 33% of women in the same age group said the same. 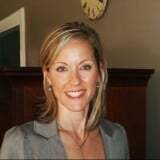 In a study by McCombs School of Business Marketing on how consumers make decisions, researchers made discoveries about how people make initial decisions and then how they justify those decisions later. Results showed that people rely heavily on emotions when making first decisions or forming first impressions. Later, when faced with a need to justify or back up a decision, people tend to use rational ideas to support their emotional decision. The McCombs' scientists duplicated these results in other areas, including marketing studies, showing the importance of emotional connections in attracting buyers to ideas, services and products. How do these findings connect with the visual 18-34 year old demographic? 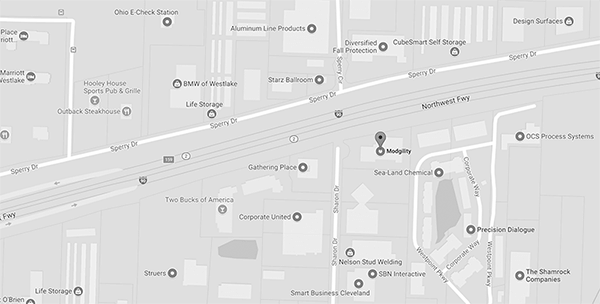 Since this group has grown up with visual expectations, instant gratification and mobile connectivity in all parts of life, it's only natural that this group should be the focus of marketers looking to capture business on the web. Charities and non-profits are using visuals more and more to gain supporters and donors online. 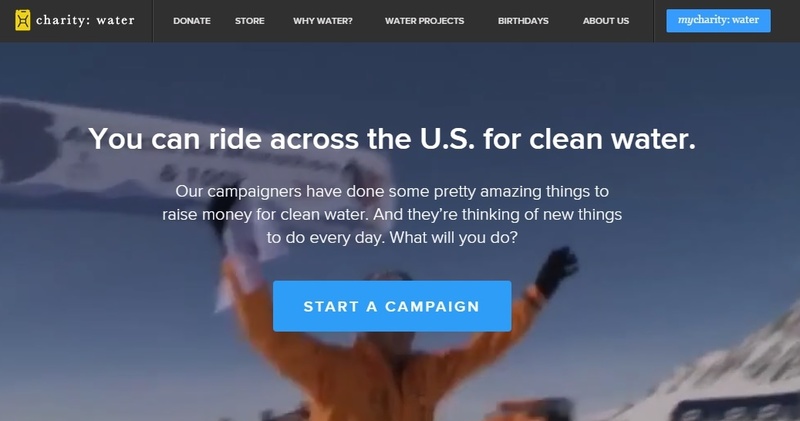 Non-profit charity: water uses video to tell their story and the stories of the people they help. The recent viral activity dubbed the "ice bucket challenge" took on a life of its own as supporters took to social media, challenging friends to dump ice over their heads, make donations for ALS research and then pass along the challenge to others. Over just a few weeks in 2014, this social proof activity raised over $100 million for multiple non-profits benefitting ALS research. Video search online is still on the rise, as consumers often choose to search for related videos before making a purchase they have researched online. Brand videos that include pranks, humor or edgy content are receiving millions of hits and helping to sell products. Commercial spots like the Allstate series, "Mayhem," shown in the clip below, connect with consumers and make them consider a rather boring and serious topic, like insurance, in a humorous way. Conveniently, social media sharing is the best friend of humorous campaigns. Today, everyone can be an artist, with tools that were once only available to professionals now in the hands of anyone with a smart device. Photo editing tools, illustration helpers, infographic tools and graphic design tools are making it easier than ever to create professional quality artwork as an amateur. Not only are these visual assets simpler to create, but consumers also relate better to original artistry that tells a story — much more than to an impersonal stock photo. Artwork, illustrations, photographs and designs give life and personality to your marketing materials and campaigns. The necessary shift or re-adjustment of today's marketers is driven by consumers' buying preferences. On social media platforms, including Facebook, Instagram, and Tumblr, users post nearly 5,000 images every second. The highly-visual Pinterest platform has an estimated 40 million users. (Source: Forbes) It's clear that web and social media users are sharing their most important news in photos and images, rather than in words, on the web. Access to mobile devices, high-quality built-in cameras and fast sharing technology all contribute to visual sharing. The shift also includes the phenomenon of brands and consumers interacting together more than ever. Knowing the trend toward visual sharing, brands must adapt messages by using nurturing tactics to attract buyers with visual content and lead them to make buying decisions with the brand. This visual focus is here to stay. Technology advances, including smart watches, mobile devices, and web "wearables" are all making technology an irreplaceable part of our lives. Consider the visual-based buying process described below, showing how a visual brand message can influence and lead consumers toward your solution. 2nd action: consumer reads highly-visual blog post on topic of interest; visuals include charts, original photos, infographics. To wrap up our study, we'll reference ideas from a related blog post and present plans for how marketers can apply visual elements to three areas of their digital marketing strategy. Website. A visually attractive website will keep visitors there and encourage a return when they initially find you. Visual elements that are essential for your website include relevant, original and high-quality photos or images; well-chosen and easy to read fonts; a pleasing color palette that is complimentary to your brand identity; clean, simple navigation that is not cluttered or confusing. Social media. Nearly every social media post, regardless of the platform you are using, should contain some type of visual or image. Adding videos and graphic treatment to text content such as stats, quotes or important facts you want to emphasize should also be considered. Video. Original, educational videos are what consumers are looking for to support their actions online and their e-commerce purchasing decisions. Brands can begin by re-purposing content into videos featuring company leadership. As you gain experience, you'll see the quality of your videos increase and the comfort level of your staff increase as well. Regular video series or videos produced with a defined brand identity will be more trusted by visitors and encourage return visits, comments and loyalty. In general, when considering visual elements for marketing materials, don't tell what you can show. Producing infographics, original artwork for blogs and content will pay off with interest and interaction from your visitors, leads and customers. Going Back to our Visual Roots? In early communications, humans used pictures to give accounts of their lives and challenges. Throughout history, we've improved and invented new forms of communication that have helped express ideas more completely and brought the world closer together. Today, in some ways, we find ourselves back to basics when it comes to our use of communications, moving away from text-heavy content to short-form, highly visual content, especially online. Social platforms that tell stories, sometimes with single-image posts, are constantly gaining popularity. So, we have to ask the question: Are human attention spans getting shorter? Perhaps, but not likely. With an overwhelming amount of information and media at every turn, humans must be selective. We're becoming more skilled at choosing what appeals to us and evaluating what we should give our attention to. Our evolution and intelligence is not at risk with the rise of online visual content. Our thirst for information is not declining. While interest is sparked by initial visuals online and elsewhere, our need for details, data and education will continue and lead us to more in-depth content available. For marketers, the need to produce all types of content — visual, short-form, long-form, educational and attention-grabbing — is more important than ever, given the trends of our visual culture and highly-mobile society. How is your organization marketing to our visual culture, whether online or offline? Find tips for optimizing your website with essential elements and visuals in our free e-book below, "25 Website Must-Haves."